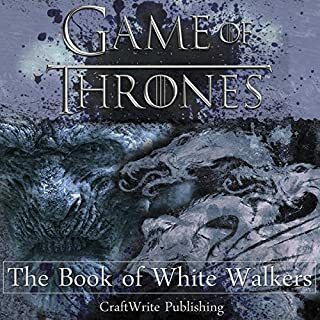 Full of daring theories and fascinating tales from the world of Ice and Fire, Game of Thrones: The Book of White Walkers delves deep into the most riveting aspects of White Walkers - who they are, where they came from and where they are going. How did the First Men cross the Narrow Sea, habitat of the Children of the Forest, and how did the war of technology and magic unleash the White Walkers? Was it really Bran the Builder who constructed the Wall and what horror lies underneath it? Good information we know and out of date theories. 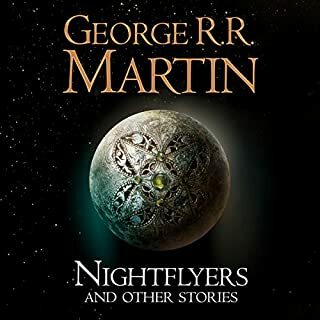 An epic collection of fantasy stories from true masters of the genre, including a never-before-published Song of Ice and Fire novella by George R. R. Martin. Fantasy fiction has produced some of the most unforgettable heroes ever: Robert E. Howard's Conan the Barbarian, Michael Moorcock's Elric of Melniboné, Fritz Leiber's Fafhrd and the Gray Mouser. Classic characters like these made sword and sorcery a cornerstone of fantasy fiction and an inspiration for a new generation of writers spinning their own magical adventures. 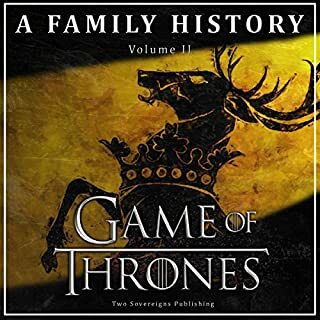 Game of Thrones: A Family History recounts the epic tales of three of the largest and most important houses in the series: the Targaryens, the Starks, and the Lannisters. Learn how the Targaryens originally took control of the Seven Kingdoms under their great King, Aegon the Conqueror, and how the Lannisters came to be masters of Casterly Rock. Chart the development of the Starks, first as kings in the North then as kingmakers under their popular lord, Eddard Stark. Follow the fortunes of three of the Seven Kingdom's most prestigious and powerful houses: the Baratheons, the Martells, and the Tyrells. See how they each conquered and held the rich, fertile kingdoms of the Stormlands, Dorne, and the Reach, and just why it is that the families of Game of Thrones are eager to avenge themselves on one another. Unique fantasy with brilliant voice acting. A Knight of the Seven Kingdoms compiles the first three official prequel novellas to George R. R. Martin's ongoing masterwork, A Song of Ice and Fire. Before Tyrion Lannister and Podrick Payne, there were Dunk and Egg. A young, naïve but courageous hedge knight, Ser Duncan the Tall towers above his rivals - in stature if not experience. Tagging along with him is his diminutive squire, a boy called Egg - whose true identity must be hidden from all he and Dunk encounter: for in reality he is Aegon Targaryen, and one day he will be king. Improbable heroes though they be, great destinies lie ahead for Dunk and Egg, as do powerful foes, royal intrigue and outrageous exploits. 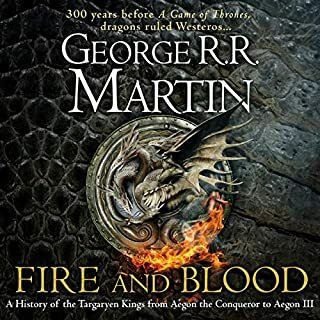 A Knight of the Seven Kingdoms brings together for the first time the first three official prequel novellas to George R. R. Martin's ongoing masterwork, A Song of Ice and Fire, set in an age when the Targaryen line still holds the Iron Throne, and the memory of the last dragon has not yet passed from living memory. Upon finishing all the "A Song of Ice and Fire" books, then re-rewatching all the "Game of Thrones" Blu-Rays (including commentary tracks and extras!) and finally watching Comicbookgirl19's amazing "Epic Histories" on YouTube I was feeling extremely deprived, even the Christmas gift of a "Game of Thrones" colouring book couldn't quench my thirst for more Westorosian stories. 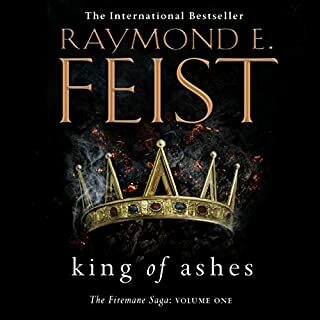 As to the story, I honestly can't get enough of this world and the history leading up to "A Song of Ice and Fire" is even more intriguing than the series itself. As always Martin has produced engaging, well rounded characters and a well paced story that enriches this fantastic world. A welcome return to the world of Westeros, the tale of Dunk and Egg expands on the story of Ser Duncan and Aegon Targaryen originally encountered in A Song of Ice and Fire. Readers of the series should be mindful that these novellas are nowhere near the size of the series books, but rather are a helpful and enjoyable light supplement to the history of Westeros. 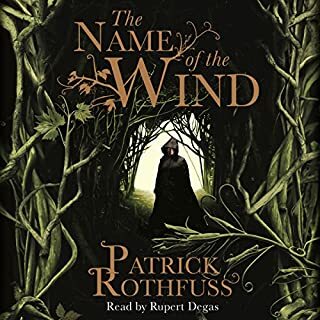 Definitely recommended reading prior to the release of The Winds of Winter and if you watch the TV series, Season 6.
very annoying narration style. when the character had verbalised mutterings the narrator was inaudible. I was turning the volume up and down to hear the softer thoughts. missed a lot I am sure. It need another dozen chapters! Would of liked to hear if dunk and egg made it to wall and what kind of shenanigans they would get themselves into next. Addictive and leaves you begging for more!!! Full of unbelievable detail that drags you into the The 7 Kingdoms. A poor cousin of the Game of Thrones series. Lacks the depth and grit of previous works. For the sake of fans I hope the final book in the series lives up to expectations. I enjoyed the story, felt like I was back in Westeros after waiting for and not having a new book to read. It felt like this book ended a bit abruptly though. 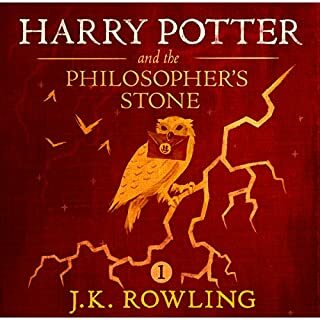 y wisper in an Audiobook!!! every time the main character is thinking tohimself the reader wispers and i cannot here it!!!! Great stories, very well put together with a nice flow. Egg reminds me so much of Arya!!! The reading is a bit childlike for the material. The reading is too innocent and more fitting to a teen adventure. There are free readings online if this series that I enjoyed slightly more. keep with the orginal series, this book is okay but pretty dry compared with all 5 other books. The only problem with this book was that it was not long enough! Great read!! 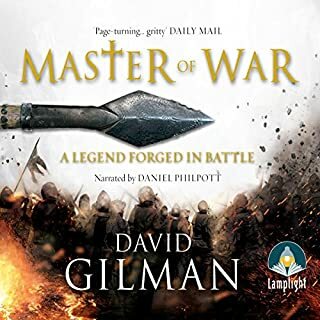 One of the best audio books i have ever listened, the story keeps getting and better and better as time passes. 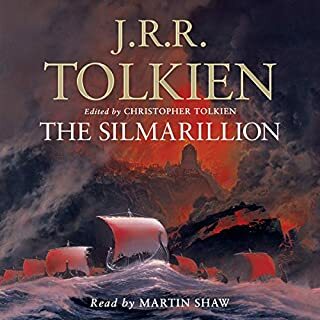 I had read the series a long time ago, and only now did I decide to listen to this story. In a way, I liked it and was disappointed too. 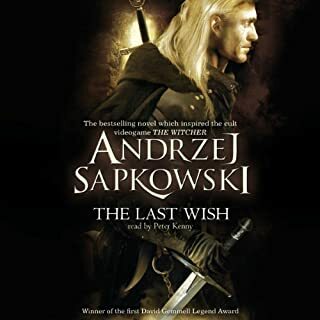 I liked it because the book brings all the elements of the series (intrigue, betrayal, conflict of interest, power search ...), but at the same time all this is presented in a second plan, since the story is centered on the attempt of a poor young man guarantee his space in the world, and be recognized as Knight. Tge story was okay. Sometimes found myself wondering about other things while listening. expected more from the story. an awesome tale, awesomely told by the narrator. I look forward to more of such. Great intro to Westeros if u can't face the Epics! Wasn't expecting a "new" George RR Martin book to come out. Therefore, was intrigued when this appeared just as I was finishing the 5th Games of Thrones book! Expecting rants of "why doesn't he concentrate on final installment" (which I've seen for other "epic" novelists who divert temporarily!). However, it appears that these were written as 3 short novellas well before the "real" Game of Thrones. Therefore, for fans, they're something new to get a short fix of Westeros. For newbies, it's a great intro to Westeros from 2 character perspective... especially if the huge Game of Thrones book set seems too daunting. This is a great was to "put a foot in the water"... see if you like it. I was surprised how "fully formed" the world is in George's mind at such an early stage. The history is all there... the houses.... it's an exact world, just a 100 years earlier. Had expected to find a more "primitive" back story to the world with some major differences. So, great self contained book which gives a good view of what to expect from the main set of books! Wasn't sure what to expect, having been a big fan of the Game of Thrones series, but this just really surprised and really impressed. 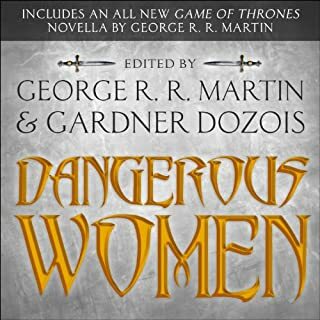 Written in the typical George R. R. Martin way, the story of Dunk and Egg is another epic adventure, which holds true the history of the various houses which made their names in GOT. This slots in around 100 years prior to A Game of Thrones, and I enjoyed learning about how many of the main characters in the main series came to pass. This book is perfectly interwoven into the history and legend of the Seven Kingdoms. Wonderful narration from Harry Lloyd. 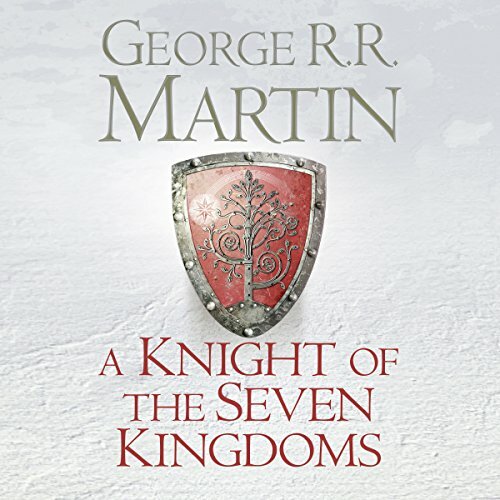 Would you consider the audio edition of A Knight of the Seven Kingdoms to be better than the print version? Just as good - it'd be nice to see it in print and learn how the names and places are spelled, for example, but the characterisation here is wonderful (I do not greatly enjoy Roy Dotrice, sadly, and long for another actor to re-record the Ice and Fire books) and it's great to be able to listen to these stories back to back while relaxing or doing other things, as I think it'd take me too long to read them in print. I did find myself googling certain characters to find out more biographical information and learn more about the battles, because this universe George Martin has created is so vast and rich in its histories i.e. 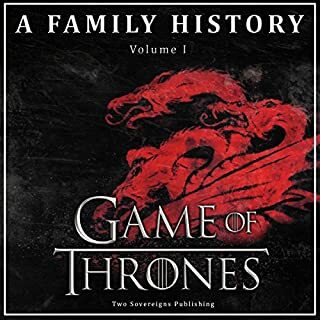 events are referred to in both these stories and Game of Thrones, and they all tally, and it's really nice to immerse yourself in this alternative history; you pick up new details every time you engage with the novels. What other book might you compare A Knight of the Seven Kingdoms to, and why? Obviously the Song of Ice and Fire (Game of Thrones) books because they take place in the same world and have many overlapping characters, settings and so on. It enriches the action of Game of Thrones. What about Harry Lloyd’s performance did you like? It was consistent, he really gets into the skin of Dunk the Tall, and knows his way around this world very well having acted in the Game of Thrones series so knows how everything works/how every role works, which comes across in the performance. 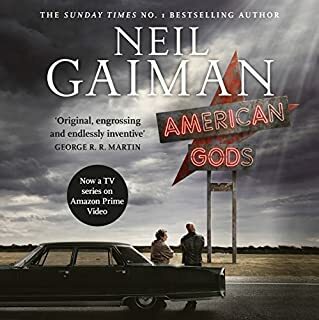 Funny where it should be; dark and violent at other times - he marks out the internal dialogue from the external dialogue very clearly, it's just a very solid and enjoyable reading. Makes you appreciate George R. R. Martin's immense achievement - we may marvel at how well J.K. Rowling knows her wizarding world, but this is arguably even more impressive, stretching back thousands of years, with every reign fully accounted for: magnificent (and beautifully well written). A great side story to game of thrones. Thoroughly recommended. 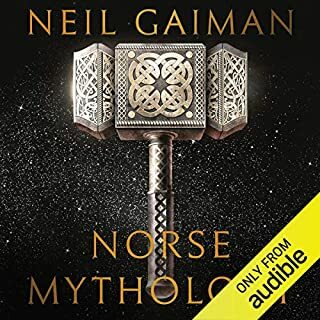 Narrator is different to the one for game of thrones, but that works well and he's very good. Yes, Harry Lloyd brings it to life wonderfully. Dunk the lunk, thick as a castle wall. What does Harry Lloyd bring to the story that you wouldn’t experience if you had only read the book? 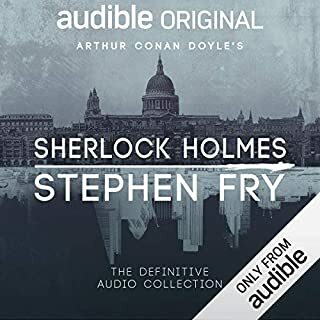 He does amazing voices, a really great narrator - if Roy Dotrice doesn't carry on - then I'd love harry to do the future books. What made the experience of listening to A Knight of the Seven Kingdoms the most enjoyable? 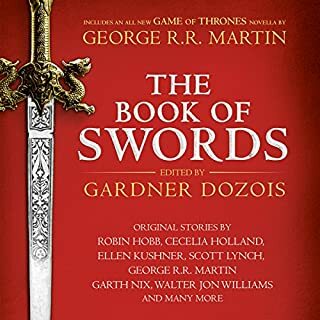 When I first saw this book was released, I kind of thought: come on George this is not getting the next ice and fire story out. Why are you getting distracted with this? intrigue, plots and villains. Castles, feasts and fights- and like all GoT books-, it always makes me hungry. Buttered capons and a flaggon of wine- Don't mind if I do! So thanks George, but please finish Winds of Winter now. A great addition to the game of thrones series while still being a stand alone novel. The book has a more traditional narrative when compared to Martins larger body of work "A song of fire and ice". 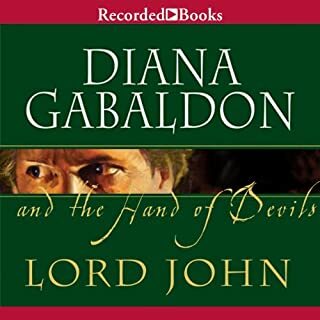 It can be listened to without the listener needing to have heard/read any of the rest of the series. The performance is good and well read. Couldn't fault it. 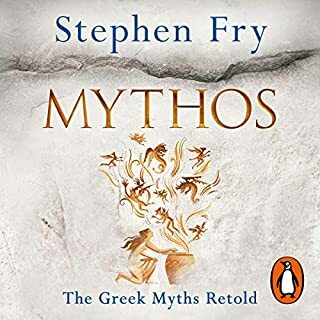 Over all good audiobook and would recommend.